FastComet achieves excellence in the three most important aspects of providing a high-quality web hosting experience - speed, security and customer service. By investing heavily in the latest hardware and software technology FastComet gives you up to 300% better performance for your website in comparison with other hosting providers. Utilizing SSD-only storage for files and databases and providing Global CDN access, FastComet focuses on achieving just-a-second load time for your website content. In addition to the excellent website speed FastComet offers enhanced security by implementing both, web application and network firewall, specifically optimized for open source applications. By providing daily and weekly free backups you can always be sure that your data is safe and secure. Technical support is another distinguishing advantage in comparison with other hosting providers. FastComet provide 24/7 support for a wide range hosting and non-hosting related issues. It is one of the few hosting companies that provides full-range technical assistance for open source applications such as WordPress, Magento, Joomla and more. This range of services includes free installation, upgrade, transfer and template setup, completely free of charge. 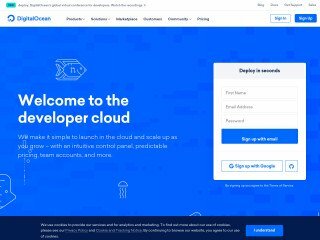 VPS Cloud 1 $59.95 /mo. 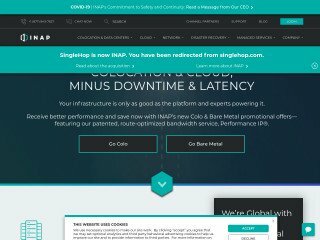 VPS Cloud 2 $69.95 /mo. VPS Cloud 3 $89.95 /mo. VPS Cloud 4 $139.95 /mo. Highly recommend, tech support instantly event on Saturday. Emma B is an Amazing Person. I approached her for HTTPS Issue and immediately within no time she has resolved it with such a politeness I cannot describe.. Fastcomet should be proud of their support reps like her. Always got the best services from FASTCOMET. I consider myself pretty lucky to have chosen FastComet as my Web Host. The staff are friendly, extremely patient, and polite, and always try to follow-up on what your trying to do in order to provide the best assistance. The technical support is unbeatable; they're always there! I would recommend FastComet a million times over! 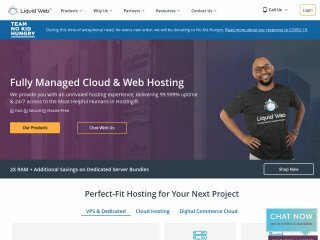 Fastcomet is one of the best hosting providers. I have tried Godaddy, Bigrock, Namecheap, Hostinger, etc. during the last 12 years. And found Fastcomet is the best. Speed and support. is commendable. I will suggest all the startups to go for it. They will help you not only installing the theme but also whenever you face the crunch in space or huge traffic (may be due to spammers) they will not put the hold on the services rather they help you. Good luck. Send them many tickets and their response times and accuracy was exceptional. Flooded them with tickets and their response times and accuracy was exceptional. 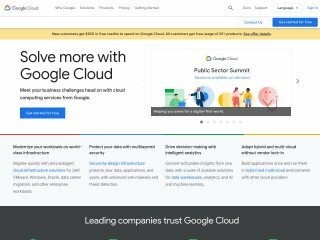 Our company was a bit skeptical choosing a host based in Bulgaria (like the other Bulgarian host SiteGround who we also investigated) but so far, so good with FastComet. Plus their time difference actually works well for us. We are getting personal attention from them that we might not otherwise get with the 'big dogs' and their prices are the best. If they can satisfy the longevity and stability requirement new players are always faced with, going forward, and continue offering the services and prices they do, then we would highly recommend them! The prices are really competitive, they offer almost every feature in their smallest package, where as to get access to these features on other webhosts you need to choose the large package which costs several times the smallest pacakge. Fast, Reliable and Great technical support. I am running my eshop site. 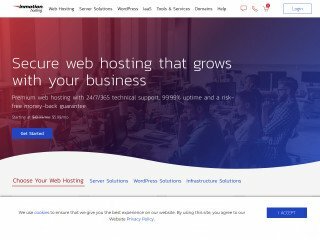 Every year I have to leave my hosting company because they force me to pay more to run my site fast. I used tmdhosting, inmotion and many more. I buy FastComet plan and was not feeling comfortable to move my site on them. After 6 months my old hosting company gave me deadline to pay more or remove the website. I moved my site to FastComet thinking to find any alternate. But the first day till today my site is going fantastic. Now I dont even thing to search for any other hosting. My other hosting plans with other companies are going to expire in December 2018. I am planing to move all my sites on FastComet. End words very happy and satisfied customer. Just wanted to express my gratitude to FastComet Tech support, Anton Chepishev in particular. Thanks for your kind assistance, patience and making the process of building my website fun and smooth. With FastComet customers are always looked after. 5 stars to you guys! I migrated my website to FastComet almost one year ago, and I really love the quality of technical support on FastComet. They answer very promptly and do their job professionally. Especially, I want to mention Oliver W. from Technical Support team. He is definitely the most polite, kind, and professional expert at FastComet. I love this company very much! Kyle G is awsome, great services! FastComet: Very fast and reliable support! After several months with them always encountered a prompt, fast and reliable support, since the beginning with the initial site transfer task. Today we had a sever damage in our WordPress install, and thanks to the prompt support provided by Kyle G. from the Senior Support Team, we have been able to solve it very quickly. For the records, we found the mess cause was wrong code and erroneous file edits made by an external developer (fired). had some obscure problem with our web store running on magento - the upload image buttons didnt show up. the tech support, Kyle G, did some research on the issue and advised me to change Flash settings on my browser and the problem was solved!! this was not a pure hosting issue but Kyle helped me out regardless. really like using fastcomet. Best support I ever seen in a shared hosting! They answer very quickly to questions, 24/24, 7/7. I had a best-in-class support provide by Kyle G. (Fastcomet's Senior Support Team) that managed and increasing my website speed drastically. For me they are the best about support. I got help from Oliver W. at Fastcomet. He was very professional, super fast and helped me to set everything up for me in a matter of minutes. Great support, thank you ! Oliver W. did an excellent job to set up SSL on my Website. He did exactly what we needed. Thanks a lot to him. Amazing Tech + Customer Service and of course Great Price. Always a great support from fastcomet, thanks Fred.